Traveling through Louisiana along I 10 and I 20 has always been an adventure for us. We get asked by other RVers who are traveling along I 10, headed east or west, how is driving I 10 through Louisiana? In our years of travel, we have avoided I 10 because it has always been really bad. While traveling I 10 through Louisiana we have had things fall off the wall in our RV, we have had things unscrew themselves and fall off, and we have even had window shades fall down in our previous 5th wheel due to the abrupt bridge abutments that the state of Louisiana just could not seem to get right. So, due to all these factors we have avoided I 10 through Louisiana for the past five years up until last month! Pam, Lindsey and I have logged about six thousand miles in the past four months traveling the east coast states and into the southern midwest. We have been traveling with the Texas RV Professor and the owners of Workamper News in order to assist in helping RV Tech Course students who want to develop an RV inspection business. In December we were in New Braunfels, TX and our next stop was Florida. Of course, the logical route was to take was I 10. But with our past experiences of navigating that route we were hesitant to subject the RV to the needless pounding of the terrible roads in Louisiana. 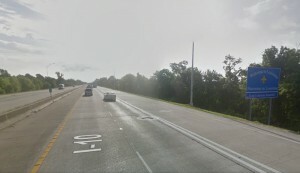 So, I did a Google search to find out what the current conditions are along I 10 through Louisiana. All I discovered were posts about past and current traffic, but not about the current conditions of the road while navigating that route. I found a few posts on the RV forums from RVers asking a similar question, but no one specifically addressed what their experience was driving I 10 through Louisiana. 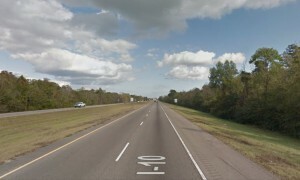 So I am here to share with you what it was like for us to drive along I10 from east Texas alway through Louisiana into Mississipi. For those of you that don’t know, we are not driving our big truck and 5th wheel anymore but our Winnebago class C RV. It is a thirty-foot long vehicle and we pull a six by twelve foot cargo trailer. The gross vehicle weight of the RV is 14,500 pounds. We had the RV weighed a while back with the trailer attached and discovered we are about a thousand pounds under that gross vehicle weight. However, we are at near maximum rating for the rear axle. So, we are about a thousand pounds light on the front axle but close to the maximum on the rear axle with the fluids aboard that we need to travel comfortably. Why did I bother explaining that? 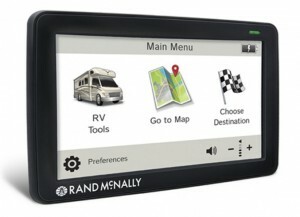 Well, the more overloaded you are while traveling over rough roads the more damage you can do to your RV! So, you can see my concern here when I consider travel routes on roads that I know in the past have been a disaster: I 10 through Louisiana, I 40 through Oklahoma City, OK, I 40 through Little Rock, AR, etc. Here is another factor to consider when traveling on poor roads: the faster you go the worse the pounding will be! Pam and I keep our speed between fifty-five and sixty miles per hour. Most times during our travels we are not in a hurry. We allow plenty of time to get where we are going. So our recent experience on I 10 is based on all these factors. As soon as we left Beaumont Texas and headed east through Orange Texas, the road was pretty rough. Once we got past that section in into Lake Charles the roads were not bad at all. Due to a late start, we only planned to get as far as Baton Rouge that day. Even the bridge section east of Atchafalaya was not as bad as I remembered it with the rhythmic up and down motion of the RV. The rest of our trip was uneventful. We were surprised at the overall conditions of the roads and how much better they were than we remembered five years earlier. You see, we have avoided I 10 through Louisiana for that long! The next day we headed further east out of Baton Rough looking to head to Gulfport, Mississipi. 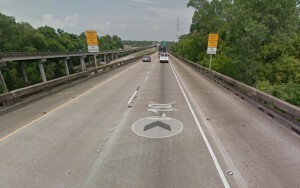 We left I 10 and took the northern route along I 12 as opposed to taking the southern I 10 route around New Orleans. This route was acceptable as well. It was not long after that we were out of Louisiana and into Mississipi. Our take away from the two-day drive headed east along I 10 through Louisiana was that it was no worse than anywhere else in the country and there were spots that were better than most. We did take I 20 headed west through Shreveport a few weeks earlier and that was terrible! We had to reduce our speed down to forty miles per hour in spots so we would not beat the RV to death. I was afraid of what I was doing to the suspension! 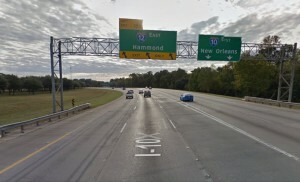 So, if you are headed east and need to use I 10 through Louisiana, I think you will find it acceptable. If you do, please share your experiences so we can keep this post up to date so other RV travelers can be in the know. As I said, I was unable to get a real good description of what it was like to travel this route in an RV, so I hope this will help our fellow RV travelers! As we head back west in a few months, I will give an update of that as well. As a side not, if you are traveling using a smartphone to access Google Maps, please be sure you have a safe way to view your phone. 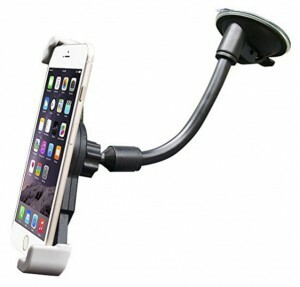 Pam and I use a windshield mounted holder that has performed wonderfully. As we travel about I no longer have issues seeing my planned route clearly and I don’t need to take my eyes off the road. Happy RV Travels in 2017! Update March 2017: We just traveled West on I-10 through Louisiana. The roads were mostly fine except for Beau Bridge. The concrete road was old and rutted. We reduced speed to 45mph and did okay, but it was rough. We were traveling at full load so the roughness was an issue. As we got out of Louisiana into west Texas, Orange was pretty bad too for just a brief section of highway.